Located in the middle of Anderson Valley our Gowan Creek vineyard has a style all its own. This wine evokes every shade of purple on the palate. 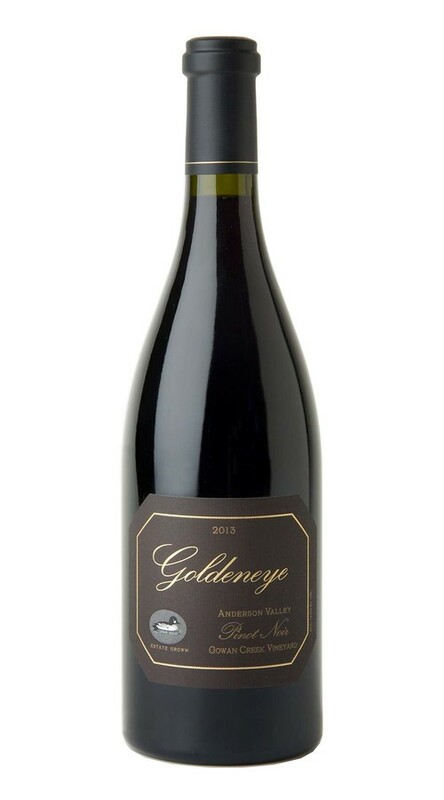 Bursting with Japanese plum, boysenberry and wild blackberry, our Gowan Creek Pinot Noir is deftly balanced by a richness and roundness that gives this wine its excellent structure. Floral notes of lavender, pennyroyal and cinnamon stick lead to a long and lush finish. carry us through to a successful harvest. With very few frost days, the fruit set was excellent throughout our estate vineyards. To ensure a perfectly sized, well-balanced crop we were very active in fruit dropping. The remaining clusters were compact, with the abundant small berries that are perfect for high-quality wine. We started harvest 10 days earlier than normal, during a period of ideal temperate weather that allowed us to pick at a leisurely pace, while ensuring optimal ripeness. The resulting wines are marked by a complexity only achieved in cooler years with coursing acidity, beautiful high-toned fruit and nuanced minerality.